Bob Marcovitch is a partner in the Atlanta office of Lewis Brisbois and is a member of the Appellate Practice. Bob has been an appellate litigator since the early 1990s when he was an Assistant U.S. Attorney in the Appellate Section of the United States Attorney’s Office in Atlanta. He has extensive experience in state and federal courts across the country in a wide variety of subject matters, including civil and criminal RICO litigation, product liability, premises liability, intentional torts, class actions, will and trust disputes, real estate matters, business disputes, and government enforcement proceedings. Bob is known for the depth and clarity of his analysis of complex legal and factual issues, and he is considered to be a “go-to” attorney to handle high-stakes appeals and to consult on large exposure cases in trial courts. 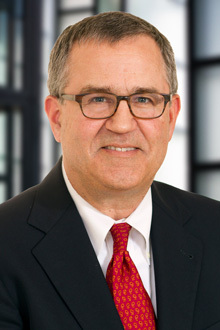 Bob achieves outstanding results for clients, including, in recent years, an affirmance of a defense verdict in the United States Court of Appeals for the Eleventh Circuit in which an evidentiary ruling implicating Georgia's collateral source rule was at issue; an affirmance of summary judgment in the Delaware Supreme Court relating to an anti-suit injunction entered by the Delaware Court of Chancery; a reversal of an adverse summary judgment ruling in the Georgia Court of Appeals in a real estate dispute; and a reversal of a denial of a motion to dismiss on venue grounds, also in the Georgia Court of Appeals. For several years, Bob also has taught a class at Georgia State University College of Law in Georgia Appellate Practice. ML Healthcare Services, LLC v. Publix Super Markets, Inc., 881 F.3d 1293 (2018). Wrote brief and presented oral argument in a successful appeal in which the Eleventh Circuit affirmed a defense verdict in the face of a collateral source rule challenge to an evidentiary ruling by the district court that permitted the defense to impeach certain medical providers for bias in light of their financial relationship with a litigation funding company. Oliver v. McDade, 297 Ga. 66 (2015). Wrote brief and delivered oral argument in matter in which the Supreme Court of Georgia vacated an adverse decision from the Georgia Court of Appeals addressing the application of the impact rule and pecuniary loss rule in relation to the availability of emotional distress damages. Ross v. Waters, 332 Ga. App. 623 (2015). Wrote the winning brief and delivered oral argument in case in which the Georgia Court of Appeals reversed a trial court's refusal to transfer case for improper venue. Del Lago Ventures, Inc. v. QuikTrip Corp., 330 Ga. App. 138 (2014). Wrote winning brief that resulted in a reversal of summary judgment entered against client in a real estate dispute. RockTenn CP, LLC v. BE & K Eng'g Co., LLC, 103 A.3d 512 (Del. 2014). As principal brief writer and presenter of oral argument, obtained affirmance of anti-suit injunction issued by the Delaware Court of Chancery. Puckett v. Plastics Grp., Inc., 561 F. App'x 865 (11th Cir. 2014). Wrote winning appellee brief in matter in which the Eleventh Circuit affirmed district court’s grant of summary judgment in case involving an alleged gas can explosion. Horton v. Dennis, 325 Ga. App. 212, 750 S.E.2d 493 (2013). Wrote winning brief for appellee on issue of when attorney’s fees may be granted for “stubborn litigiousness” under O.C.G.A. § 13-6-11. Zinkhan v. Bruce, 305 Ga. App. 510 (2010). All in client’s favor, the Georgia Court of Appeals affirmed a probate court’s ruling on a testamentary guardianship issue under Georgia law, and reversed, upon a discretionary interlocutory appeal, a superior court’s assumption of jurisdiction in a parallel proceeding collaterally attacking the probate court’s ruling. United States v. Kottwitz, 614 F.3d 1241 (11th Cir. ), modified on rehearing, 627 F.3d 1383 (11th Cir. 2010). As principal brief writer, obtained reversal of one tax conspiracy count and the vacation and remand for retrial of the other such count. Kuritzky v. Emory Univ., 294 Ga. App. 370 (2008). The Georgia Court of Appeals affirmed trial court’s grant of summary judgment on claims relating to the expulsion of a medical student from client’s medical school. Tomczyk v. Jocks & Jills Restaurants, LLC, et al., 269 F.App’x 867 (11th Cir. 2008). Obtained reversal of a $2 million jury verdict in an intentional tort matter. Combs v. Atlanta Auto Auction, Inc., 287 Ga. App. 9 (2007). Wrote winning brief reversing grant of summary judgment in a premises liability negligence action. Carmell v. Texas, 529 U.S. 513 (2000). Drafted amicus brief on behalf of the National Association of Criminal Defense Lawyers in support of Petitioner who obtained a reversal of certain convictions on constitutional ex post facto grounds. United States v. Sloan, 97 F.3d 1378 (11th Cir. 1996). Represented the Government in successful defense of sentences based on the distinction between powder and crack cocaine, leading to the reversal of sentences in other likes cases. United States v. Tokars, 95 F.3d 1520 (11th Cir. 1996). Participated in Government brief writing team in case in which the Eleventh Circuit affirmed the convictions of an Atlanta lawyer tried on RICO and murder-for-hire charges related to the murder of his wife.